Hey friends!! I'm back with the second card that I made using the Verve coffee die and the Verve set One Cup. One Cup is actually a set that is all about tea, but some of the sentiments work really well with the coffee die. The layout is based on the Viva La Verve week 4 sketch and once, again, I used the Teresa Collins Studio Gold pad for my card. Will be posting this to the Spring Coffee Lover's Blog Hop and Simon Says Stamp Wednesday challenge: Anything Goes. The VLV week 4 sketch seems rather simple, but I must admit it gave me a bit of trouble. Initially I had thought I would die cut the word "coffee" three times and use them on the card, but I just didn't like how it looked. So I opted to trim out the three labels (from the Studio Gold pad), layer them and then add just one die cut "coffee". I adhered the patterned paper panel and then added the bits of gold washi tape. Finished things off with the sentiment and a few gold sequins. Hey friends!! 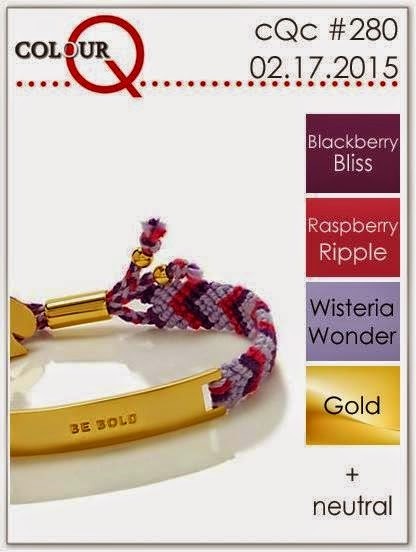 I'm sure lots of you know about the Spring Coffee Lover's blog hop that this going on right now. I'm not a coffee drinker myself (my elixir of choice is a tall Chai all soy, no water), but I got into the spirit of things and made two cards using a fun "coffee" die from Verve, as well as the Verve set "One Cup" and two of the Viva La Verve February sketches. My color combo isn't very spring-like as I was using what I had pulled out earlier and decided to go with a gold/black/white/kraft theme (both cards do have a touch of blue on them, though). Adding this to the SSS Monday challenge: Anything Goes. 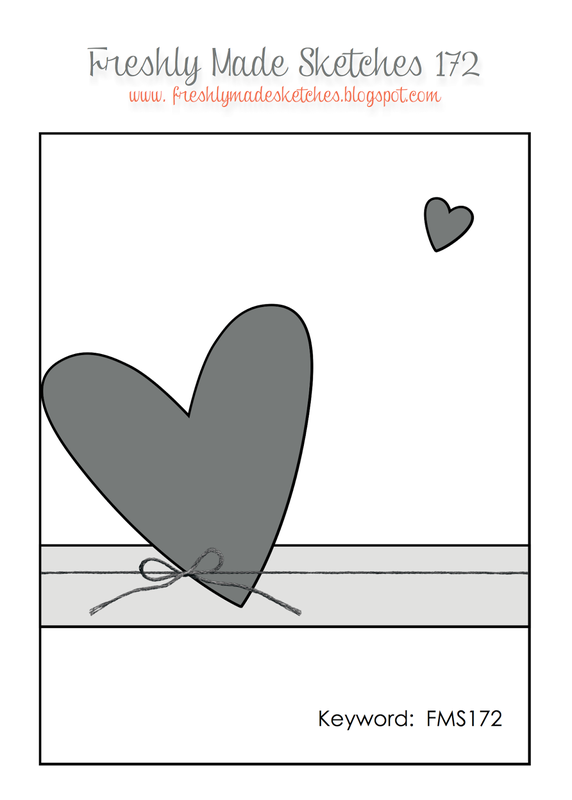 First up is a card I made using VLV sketch #3. I die cut the "coffee" from some Teresa Collins Studio Gold paper that was embossed with gold foil. The blue striped and grid papers are from the same pad and were die cut using Spellbinders plain rectangle dies. Layered them, stamped the sentiment from One Cup and added the coffee die cut. The banner was die cut from gold embossed vellum and layered on some patterned paper from the Teresa Collins Memorabilia 6x6 pad. Added a bit of black twine and adhered it to a kraft card base. Have a happy day... I will be back later with the second card! Hey friends!!! Popping in with a couple of cards for some color challenges: Color Throwdown, Colour Me...! 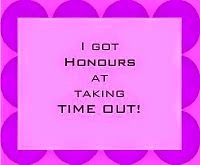 and Time Out - Rock Around the Clock. The other day I finally received my Stampin Up! Butterflies Thinlets dies. I bought them as a bundle with the Butterfly Basics set, but unfortunately the dies were on backorder... so I had to wait. But, the wait was worth it... the dies are gorgeous!! My first card showcases two of the dies. I absolutely LOVE how the first card turned out! 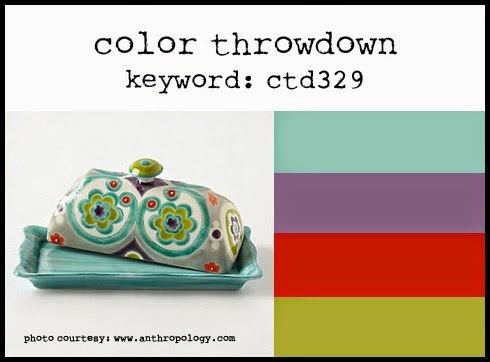 This one is for Color Throwdown. 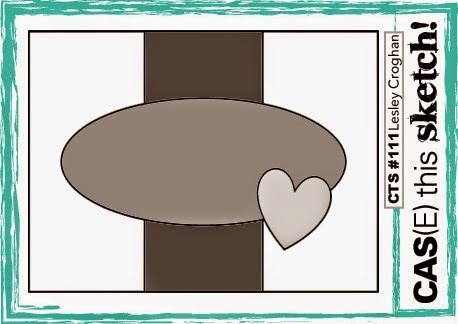 I started by stamping two images from Butterfly Basics using light pink and light green inks. I die cut the large butterfly from some Teresa Collins Family Stories patterned paper. The smaller butterfly was stamped in kraft ink and then die cut with the matching die. I adhered the two butterflies together and then added the little pink clothes pink and the light green baker's twine. I adhered the butterfly over the stamped images and then added the sentiment and some light pink sequins. 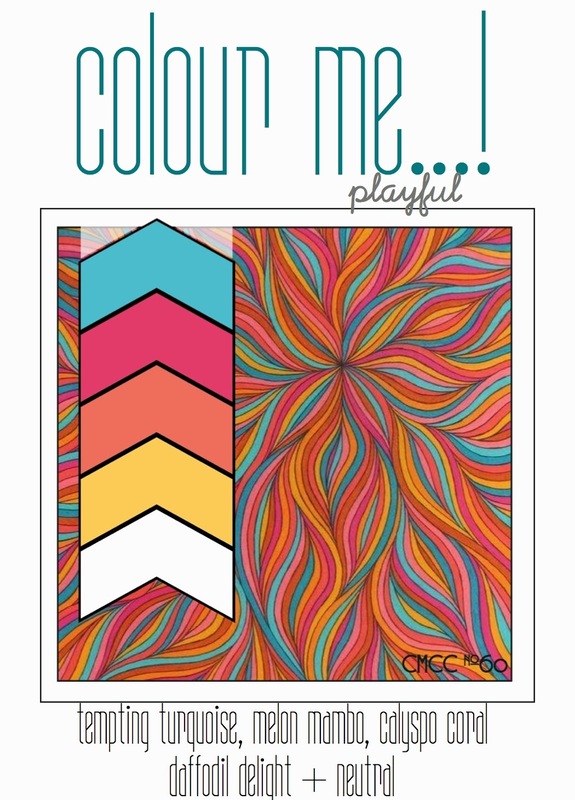 My second card is kinda fun and funky and is for Colour Me...! and Time Out. I stamped a clock image from the Hero Arts set All the Time using Melon Mambo, Tempting Turquoise & Calypso Coral. I then added the little clock hands and the sentiment in black. Some yellow baker's twine was added and then the piece was mounted on a light yellow card base. Hey friends! So... 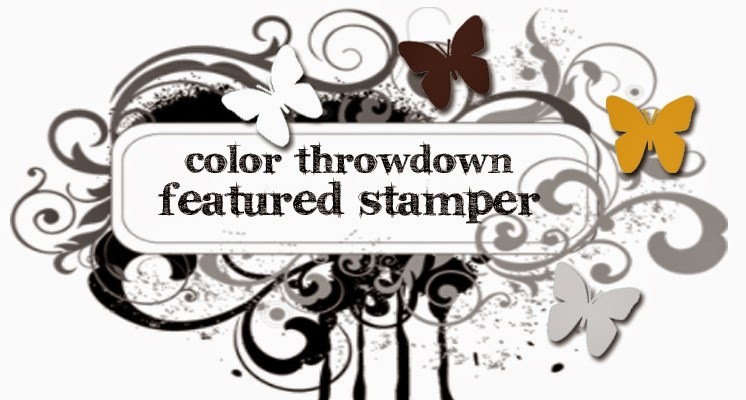 I made this card for the Simon Says Stamp/Lawn Fawn co-challenge over at flickr. Unfortunately, I had to pull the card from the challenge because I missed one little (well actually big, lol!) component: use kraft! As you can see from my card there isn't a drop of kraft on it! Sigh... going to try to make something new for the flickr challenge. Thankfully there is still plenty of time to enter. I will be posting this to the new SSS Work It Wednesday challenge (spring... don't cute bunnies just says "spring" to you?) and this week's SSS Wednesday challenge Anything Goes. I love it when I get an idea and I'm able to have my card turn out exactly like I envisioned it! I own one Lawn Fawn set, Hello Baby. I stamped the big and little bunnies on some Teresa Collins Memorabilia patterned paper and die cut them with the matching dies. I stamped the grass using light blue and grey inks and then adhered the bunnies. The blue "sky" was die cut using the Lawn Fawn Speech Bubble Border die. The sun is from the SSS set Bring the Sunshine and was cut using the matching die. The clouds are also from Lawn Fawn. I added a bit of stickles to the clouds and bunny tails for a bit of sparkly. Hey friends!! Popping in with a quick post. 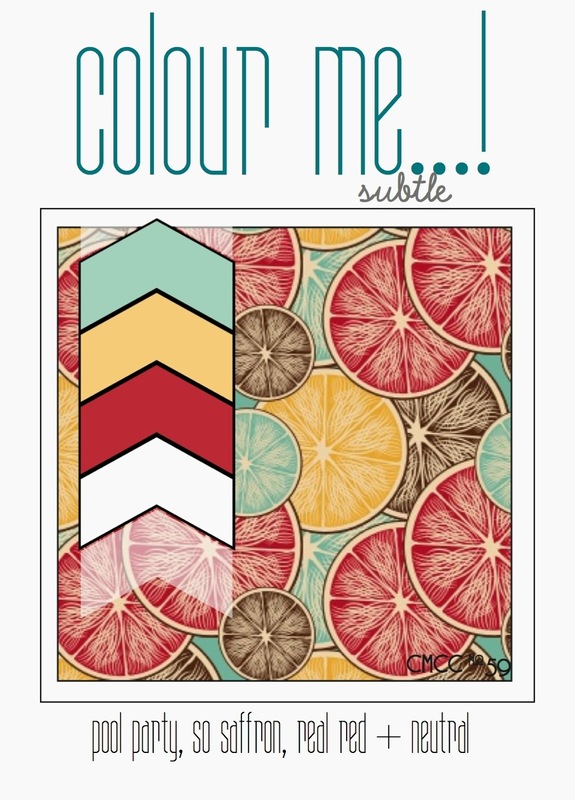 I have a card I made yesterday for the current ColourQ challenge that closes in just a few hours! I used a fun set from A Jillian Vance Design called Grunge Fun. Some of you know how much I love to collage stamp and when I saw the Grunge Fun set from AJVD I had to add it to my collection! I stamped grungy dots image using Wisteria Wonder (SU!) and Pansy Purple (Close to My Heart). The little boxes were stamped using Primrose Petal (SU!) and then added the heart and star using Delicata Golden Glitz ink. A couple more hearts were added using the Wisteria Wonder and Pansy Purple and then the sentiment in black. Finished with some fun matte gold flat sequins from A Jillian Vance Design. Hey friends!! 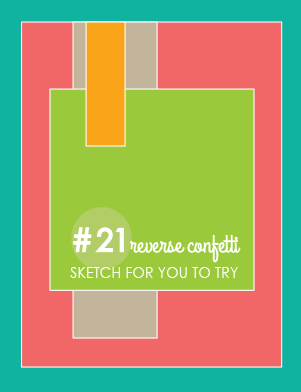 Have a little card to share that I made today while I watched the Daytona 500! My favorite driver Matt Kenseth didn't finish very well, but it was still a great race! My card uses the color combo from Colour Me...! and the layout from CAS(E) this Sketch. I did change the orientation of the sketch. I had never used the quilt block die from my PTI Make It Market County Fair kit and when I saw the Colour Me...! combo I just had to use it to make a little quilt block. I die cut three different patterned papers from Stampin Up! (I'm not going to give you the names as I did A LOT of rummaging through my extensive collection of patterned papers to come up with ones that worked for the challenge!). I die cut everything and then inlaid all the pieces into a quilt block that I die cut from white cardstock. Layered everything up and finished it off with a button/twine embellishment. I didn't add a sentiment because there just wasn't a good spot on the front of the card for one and I don't put something on a card just for the sake of having it there! At some point I will probably just finish the inside of the card with a sentiment. Hey friends!! Popping in with a quick post of a card that I made for today's Hero Arts Scramble hosted by Barb. After I finished the card and got it posted in the HA flickr group I had to go do my grocery shopping. When I got back I realized that this would be perfect for the current Less is More challenge "wings". Do ya think I have enough "white space", lol??? Hey friends!! 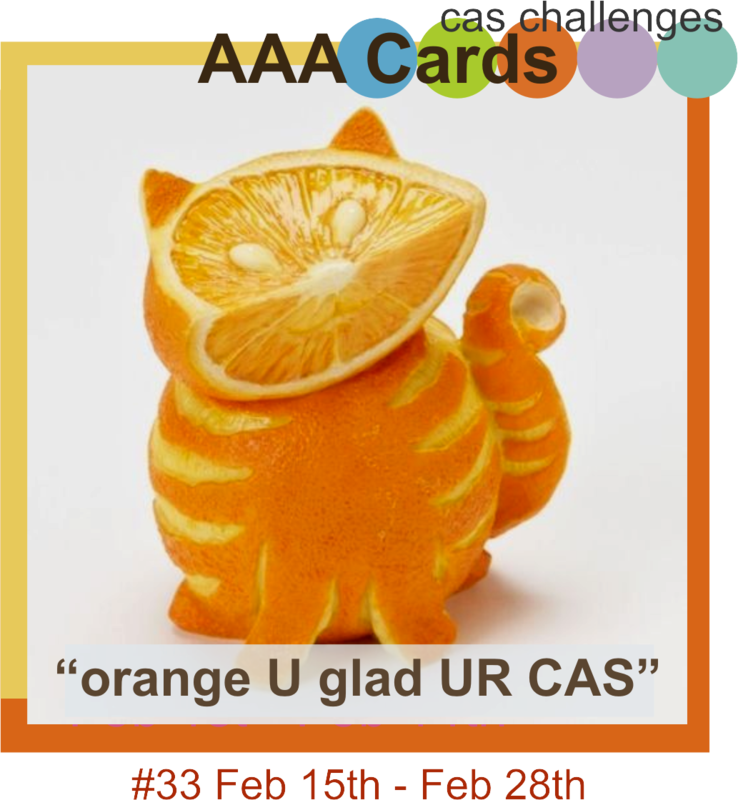 Popping in with a little card that I made for a few challenges: AAA Cards ("Orange U Glad UR CAS), Simon Says Stamp Wednesday challenge (a little texture) and Freshly Made Sketches (sketch). I'm trying to get outside my comfort zone when it comes to buying stamps and buy sets that are a bit more trendy and fun. That effort led me to buy the Reverse Confetti stamp set "Fresh 'n Fruity" along with the matching Confetti Cuts dies. The current AAA challenge was the opportunity I needed to finally use the set. To make my orange I inked up the solid orange image using Memento Tangelo. I added a second layer by partially inking up the polka dotted orange image using Stampin Up! Pumpkin Pie. Some leaves were cut and stamped and added to the orange. I stamped the sunburst image from the SU! set Kinda Eclectic using Tangelo. I partially embossed the top of my cardstock piece using a Stampin Up! stars embossing folder (my little bit of texture) and then added the strip of patterned paper (from BasicGrey). The sentiment were stamped and I was done. 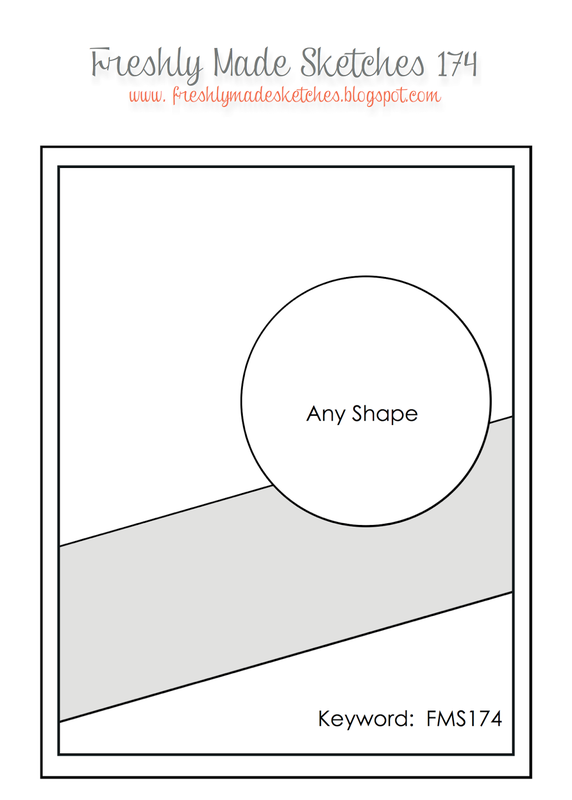 Supplies: Cardstock: PTI white, SU! Pumpkin Pie; PP: BasicGrey; Stamps: Reverse Confetti and Stampin Up! 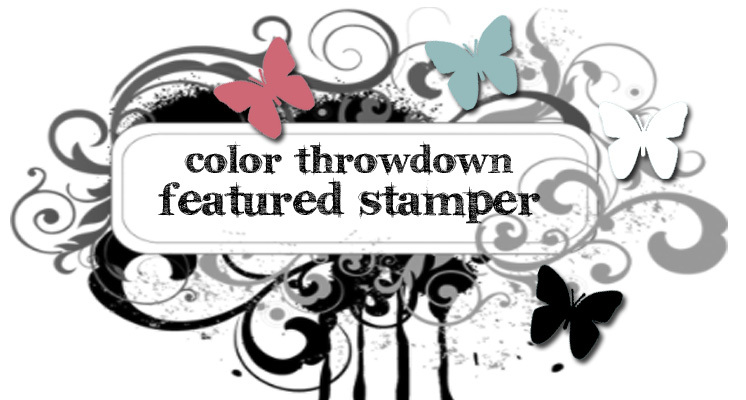 ; Inks: Stampin Up! 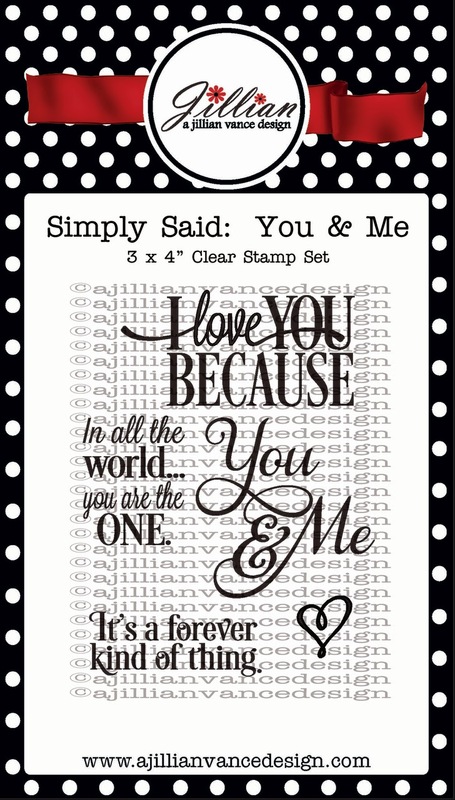 and Memento; Embossing folder: Stampin Up! Hope you will hop over there for a look! I die cut three balloons and then stamped them using light pink, light blue and light green. A coat of Ranger Crystal Stickles was added and I let them dry. Some BasicGrey Serenade patterned paper was used for the back drop. 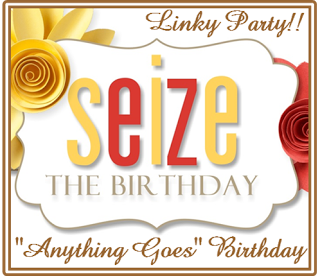 I stamped the "birthday" in light green and then added "wishes" in black. This cause some problems with photographing the card, but I think I finally got a decent one. Hey friends!! Well... today is a beautiful sunny day here in Western Washington! 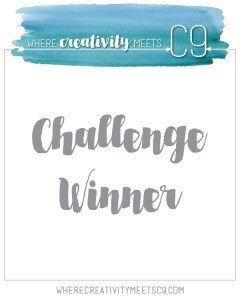 Popping in with a card for the current ColourQ challenge, as well as the current Reverse Confetti Sketch for You to Try. Lots of IRC goodies used for this one! The patterned paper is from a 6x6 pad that I have NEVER used before... Teresa Collins Family Stories. All the patterned in the pad are super cute so I'm going to have to make sure that I use it again and soon! I used lots of RC Confetti Cuts dies: Tag Me, Class Act and Love Note. I die cut all my pieces and then started layering them up. The sentiment is from the RC set Paper Crane. 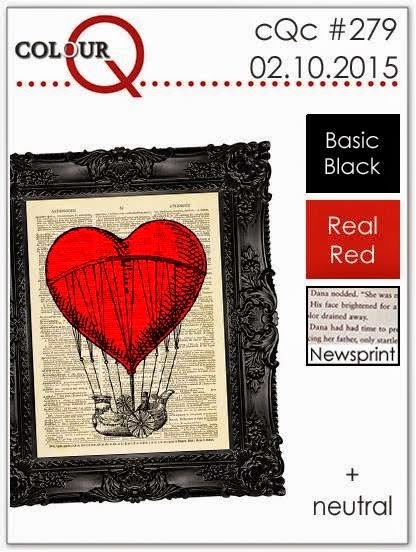 My red isn't quite the deep red in the ColourQ combo, but I think it works well enough for the challenge. Hey friends!! Have another card to share for one of PTI's 8th anniversary celebration challenges. This card is for the day 8 blue ombre challenge. The layout is loosely based on the current sketch from CAS(E) this Sketch so I will be posting it to that challenge, as well. I took the path of least resistance and kept my ombre look very simple. I stamped the middle sized feather from Feather Finery using three different shades of blue ink (SU! 's Marina Mist, Baja Breeze and Soft Sky). To jazz things up a big I added a few clear sequins. 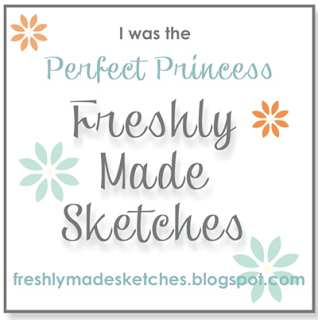 I didn't have to look for long on Maile's blog to find a card to inspire me! 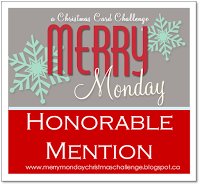 I chose a card from her day three post. I like the way she split the panel on her design. I pretty much copied her design except I used a flower instead of a butterfly. 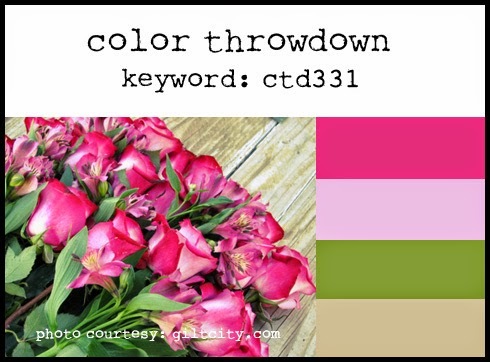 I used Happiness in Bloom and the color combo from Color Throwdown so I will be posting my card to that challenge, as well. I stamped the main flower using red and purple inks and then covered it with a mask and stamped the leaves with aqua and green inks. The sentiment was stamped in black. After cutting the panel I adhered it to a light grey cardstock base. The challenge for day 5 was to use a stamp set that hadn't been used before or not used in along time. I used the YOF Gladiolus set... one I have never actually inked up! I stamped the main image in white on kraft cardstock and then colored it with Prisma pencils. I cut the panel down on one side and then added a strip of Plum Pudding Bitty Box Basics patterned paper. I was reluctant to stamp the sentiment at the bottom so I stamped it at the top... not sure I really like it. I used three different Verve sets for my card, Better Together, No Matter What and Chevron Love. The heart was die cut using the heart from the Wavy Hearts die set that matches the heart from Chevron Love. After stamping the grey border image I decided to add some splatters using Pink Pirouette refill and water. Tied on the grey baker's twine and then popped up the heart and arrow. A final little heart, the sentiment and some grey sequins (sadly they don't look grey in the photo) finished things off. Initially I was going to use patterned paper (as was suggested in the design tips), but didn't like how it looked so opted to stamp the block portion of the sketch. I then die cut my flower pieces using the Friendly Flowers and Friendly Flower dies. 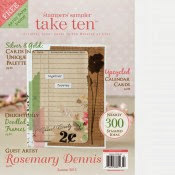 The word is from the Pretty Peonies stamp and die set. 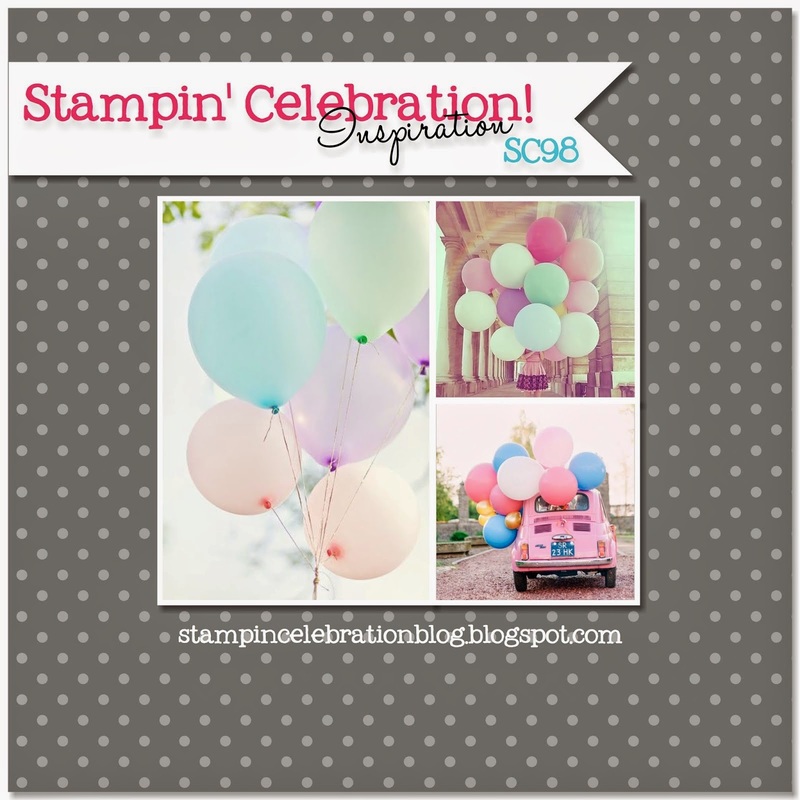 All the inks are from Stampin Up! and match the PTI colors fairly closely. I layered everything up and then added the "birthday" sentiment (from Pretty Peonies) in black ink. Since I used nice bright colors for my card I'm also adding this to the current Simon Says Stamp Wednesday Challenge: Bright and Beautiful. 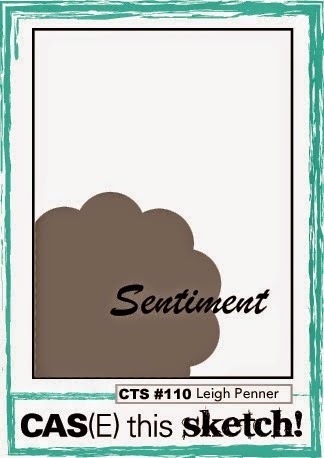 Supplies: Cardstock: PTI white & kraft; Stamps and dies: PTI; Inks: Stampin Up! Hey friends!! Popping in with a card for a couple of challenges: ColourQ and PTI's Make It Monday #200 Layering Cover Plate die cut. I have a few cover plate dies and the technique looked so fun and easy that I had to give it a try. I have a couple of friends who have birthdays next week and so this card will be going to one of them. I used the circles cover plate die and cut it from SU! 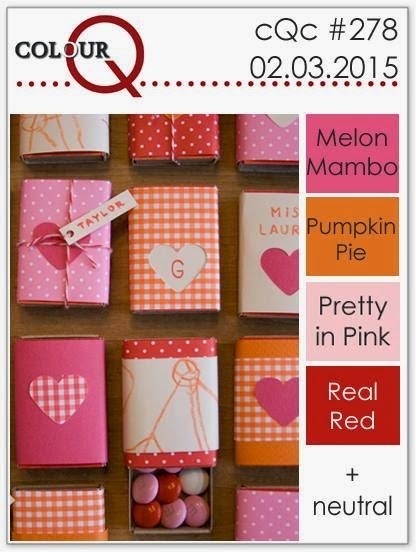 's Melon Mambo and Pretty in Pink. I then layered the Pretty in Pink die cut behind the Melon Mambo creating the shadow effect. The rest of the card was made using Oopsie Daisy and Friendly Flowers. I die cut the flowers from Oopsie Daisy and then stamped the large outline flower from the set using Real Red. The petals were added using Pumpkin Pie. The reverse was done on the smaller flower. The two were layered and a black enamel dot added. The cover plate die cut was adhered to the card base, a strip of white cardstock stamped with the sentiment was added along with the flower. Hey friends!! 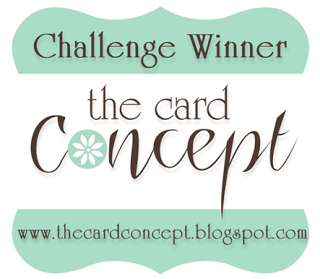 Popping with a card for the current Less is More, little ones, challenge, as well as the current Stampin' Celebration challenge... a lovely sketch. Using the "little ones" theme I went with a baby card and used the super cute Lawn Fawn set Hello Baby. The papers are from the My Mind's Eye Jubilee Mint Julep 6x6 pad. I fiddled around with several light green inks before deciding to use VersaMagic Aloe Vera for the lily pad and grass. The little frog prince was die cut from some of the patterned paper and stamped in black. I added Crystal Stickles to his crown. The dotted ric rac looking border was cut with a Top Dog Dies border die. In hindsight I think I should have stamped the "hello" in another spot instead of next to the "little prince", but I do like how everything turned out. 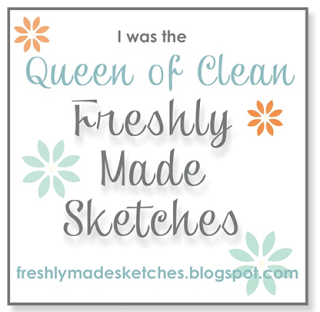 Kept things very clean and simple to let that beautiful sentiment take center stage. I used some papers from the Teresa Collins Hello My Name Is 6x6 pad. For a bit of interest I added some partial embossing using my favorite embossing folder SU! 's Decorative Dots. Anyone know of a tiny hearts embossing folder? I would love to find one. Finished off the sentiment by adding the little red heart. The inside was finished with a strip of red hearts paper and the companion sentiment accented with another red heart.